Do you trust your Cruise Control? 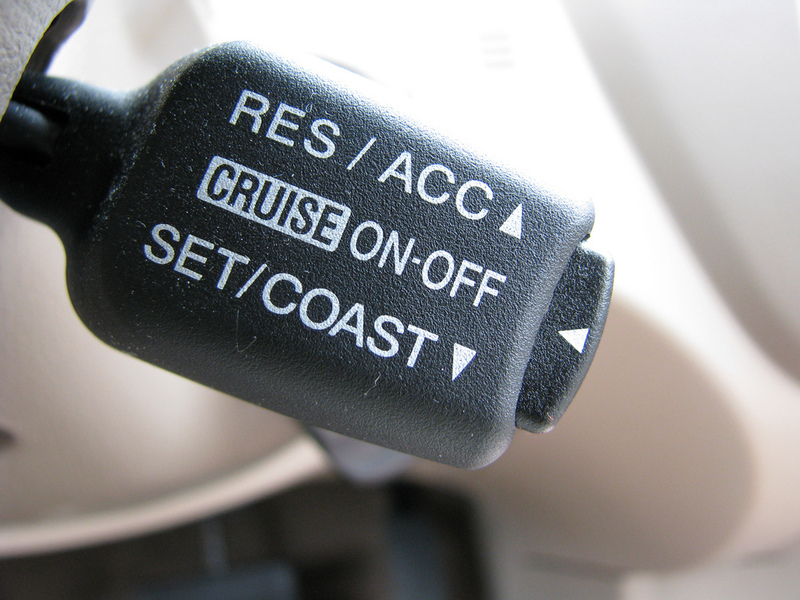 How long has it been since you drove a vehicle without cruise control? The civic we have been driving for 4 years next month didn’t come with cruise, but we had it installed. I was thinking about my cruise control yesterday when, driving down I-35, I watched two DPS cruisers enter the highway ahead of me. They both got up to speed before I got closer than a quarter mile. I watched traffic slow at the sight of the state troopers. Realizing that I, too, have the reaction of either tapping the brake or at least pulling my foot off the accelerator when I see police, I watched as one truck kept closing on the second trooper’s car. Not too quickly, but he was, indeed, closing while everyone else was dropping back a little. I then noticed that I, too, was closing on the tropper’s car. I was trusting my cruise control, which was set at the speed limit. A lot of us have this view of God as big, powerful, and angry; as though God is just waiting to catch us in the wrong. Not too different from a lot of people’s view of state troopers. In what parts of your life do you trust the cruise control of habits and learned behaviors such that you aren’t in living in fear of being caught by God. Because whether we tap the brake or take our foot off the accelerator, God knows. And, here is the good news: God loves us and wants us to accept and live into Christ’s gift of reconciliation. Reconciliation means, if it means anything, that God is not out to catch us in the wrong. What we want v what we need? Have a cruise control, but I don’t use it.